Beautiful home on 3+ acres with 300ft of Lakefront! This stunning 4 bedrooms, 4 bathrooms, sits on 3+ acres with beautiful mature trees, long driveway that goes around to the back, 4 car garage and stunning views! Beautiful cathedral ceilings, custom stone oven, eat-in kitchen and a large dining area. Plenty of cabinet space and room to move in this gorgeous kitchen! Hardwood and tile flooring throughout, large stone fireplace in the living area, lots of windows for natural lighting and perfect views of the cove! Large master suite with a door that leads out to the upper deck, large master bath with a stone, stand-alone shower and lots of cabinets for storage! 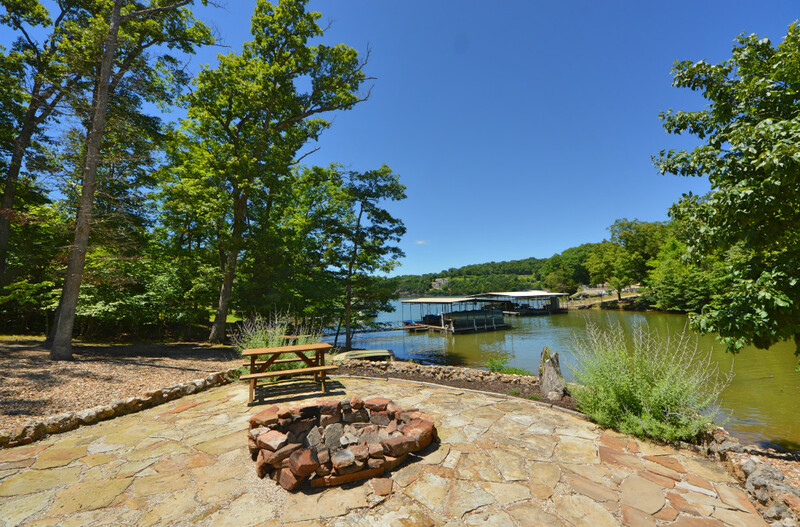 Relax down by the lake at your very own fire-pit, or stroll over to the dock and fish off the side! Plenty of space in this large home, with a private office, family room with a fireplace and wet-bar on the lower level. Large backyard with an established garden! This home is truly elegant!